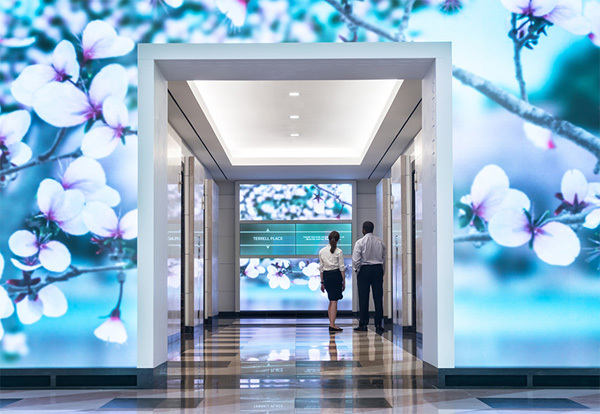 In Washington, DC, the ground floor of the Terrell Place office building offers guests a reactive experience as they move throughout the hallway in the common area. 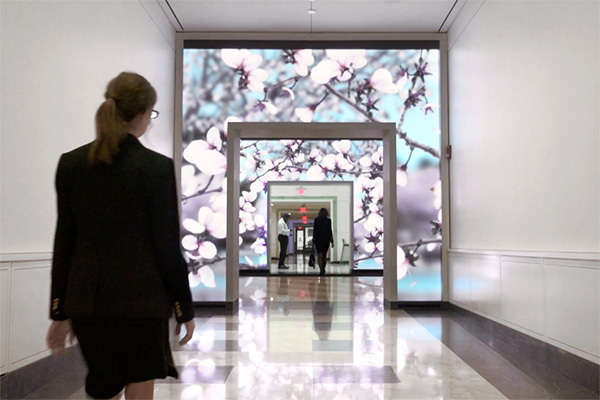 Designed by ESI Design, 1,700 square feet of motion-activated media displays activate by the movement of passersby. 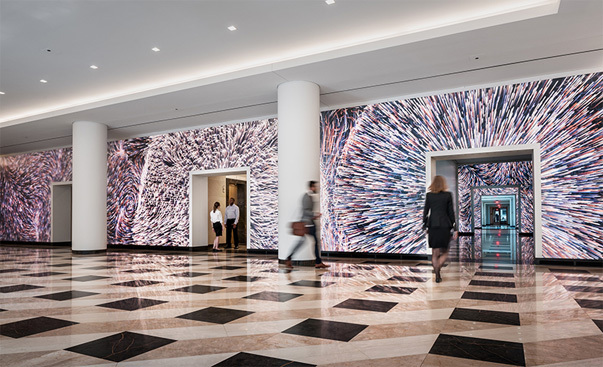 The installation acts to create “a sense of connection across the building’s common areas”. In doing this, the walls are treated as a single media canvas. Fourteen infrared cameras monitor activity around the installation which then trigger one of the three sets of content along surfaces up to 80 feet in length. The displays fluctuate from “seasons” to “color play” to “cityscapes”, with each programmed with varying sequences and different durations. 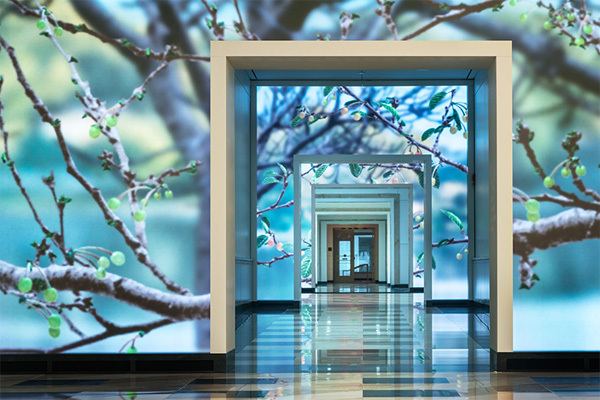 “Each of the media scenes reflects the time of day and the movement of people through the lobby, acting almost as a large abstract data-visualization of the ebb and flow of Terrell Place,” says senior creative technology designer at ESI Design Michael Schneider.